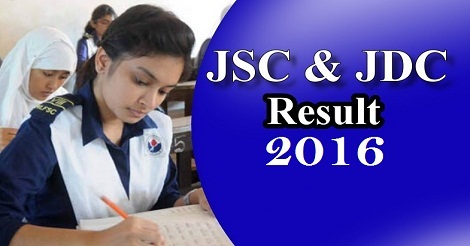 Jsc Exam Routine 2016 published ! Check your Junior School Certificate (JSC) & Junior Dakhil Certificate (JDC) Exam Routine at www.bdeducationinfo.com . This Exam will be started from 01 November 2016 and Will be continued on 17 November 2016. Examination Routine can be change by there Authority. If this exam Routine changed We will share updates Routine for you. So check your exam schedule carefully and Prepare yourself for complete your JSC examination 2016. 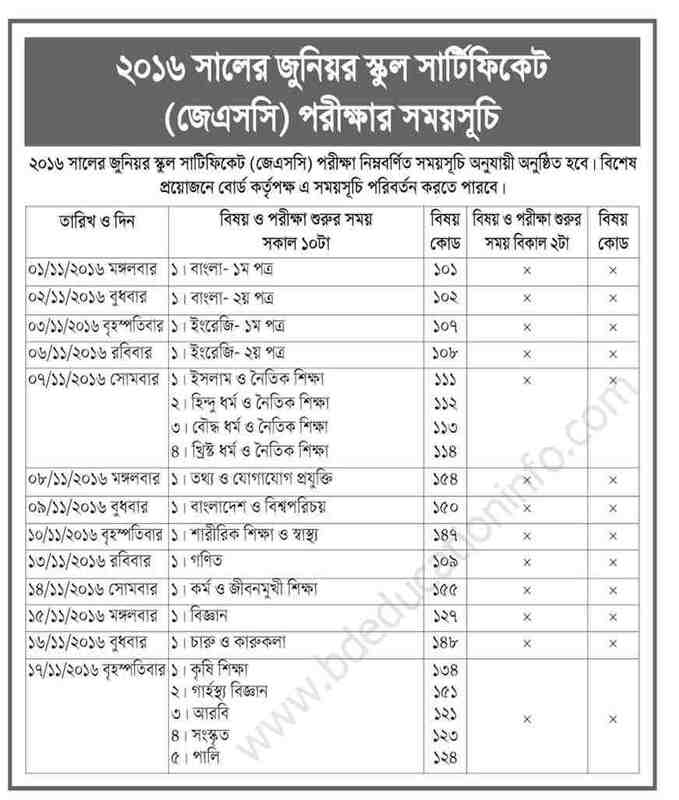 Click Here To Download JSC exam Routine 2016. If you fail to download this Routine Contact Us On Facebook Page.Hope you successfully Check and Download your JSC Exam Routine and JDC Examination Schedule 2016. For More information about JSC Exam result 2016 or JSC Exam Routine changed Notification Like our Facebook Page and Stay with us. This entry was posted in Exam Routine and tagged jsc exam routine by admin. Bookmark the permalink.